The late Zaha Hadid was renowned for her modern, swooping designs and clever manipulation of materials. 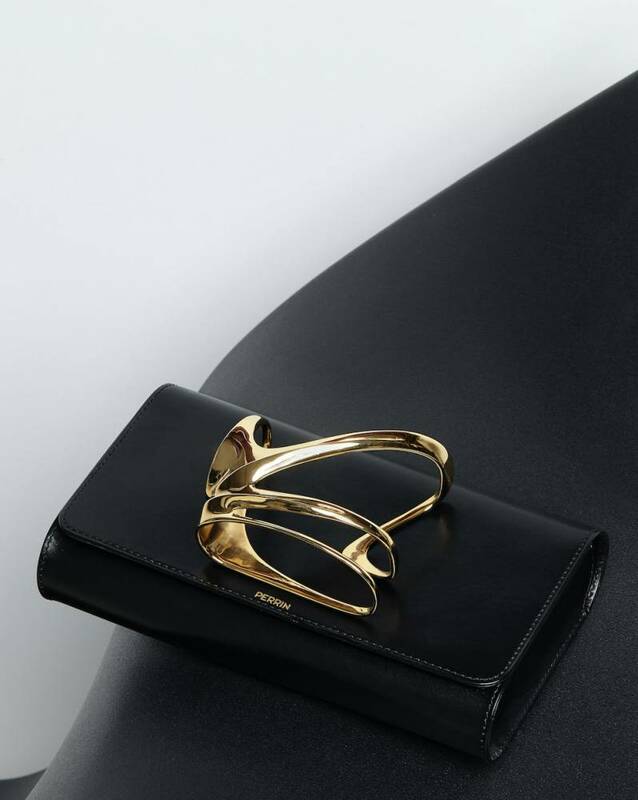 Her collaboration with Perrin Paris reimagines the glove clutch in a striking capsule collection combining the family-run enterprise’s skill in handcrafted leather accessories with Hadid’s distinctive style. Perrin Paris’ unique glove clutches hark back to the brands’ 19th century roots manufacturing impeccable leather gloves. The collaborative clutch is finished in five different colours and the sculpted glove piece, designed in three different styles of swoops, wraps and loops in various metallic or block colour finishes, can be worn on either hand. These sculptural pieces are the product of the ultimate meeting of creative minds and are available exclusively at farfetch.com or through perrinparis.com and zaha-hadid.com.